Truth: it’s not really my birthday. But it’s the birthday of the book ALL ABOUT ME. 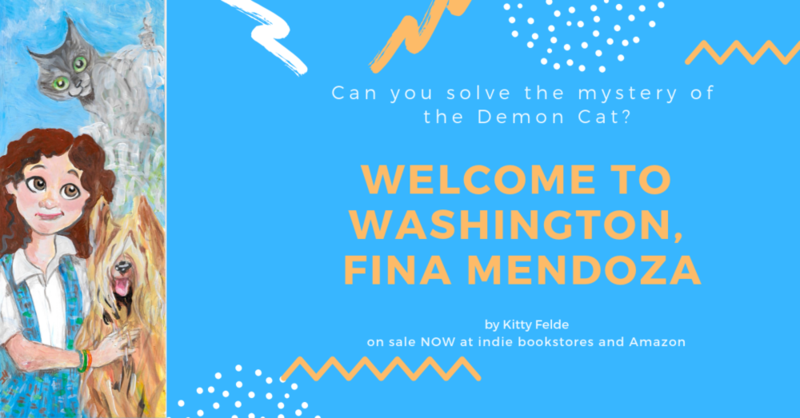 On Thursday, February 28, 2019, there will be a real live book all about the adventures of Fina Mendoza (and her family and a few dogs and cats) on Capitol Hill. I hope you will read the book. Ask for it at the library or your favorite bookstore (we have a BUNCH of them in Washington, DC!) Or you can even order it from Black Rose Writing, the guys in Texas who published it.